Starting a business involves a lot of planning and dedication. 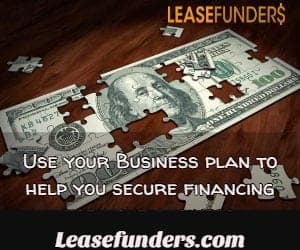 Start up business financing can be difficult to secure if you’re not prepared to pitch your ideas to the right people. 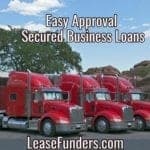 But securing financing is just one step (yes, a very important one) on the road to becoming a successful business owner. 1. Asking for help is a good thing! Too many small business owners or would-be small business owners don’t reach out to those in the same industry as them for advice. It isn’t that uncommon to find someone within the industry that is willing to offer some advice based on actual experience. 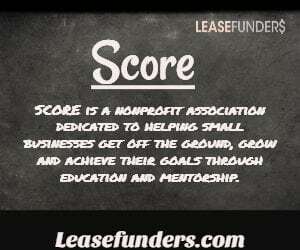 Take a moment to become familiar with SCORE. This is a group of retired business owners that volunteer their time and are willing to share their experiences in the industry. In Nevada, we also have the NSBDC. They offer a lot of free classes on how to get started with running a business in Nevada. I’m sure there are similar agencies in each state. Take the time to utilize these resources! They may be able to open doors for you! 2. Planning is everything! Those who fail to plan,,,,, plan to fail! 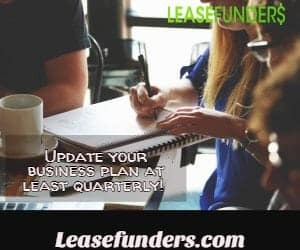 In recent years, many entrepreneurs have applied for a startup equipment lease without having taken the time to write out their business. While it’s not necessary all the time, You want to be able to at least present an executive summary if a bank or prospective partner ask you for it. What your business will do – and your USP (unique selling point) what problem does your business solve? And if you are only submitting an executive summary and not a full business plan, include any contracts you have already won! We have helped a lot of business owners turn a NO to a YES by adding this information. Even if they have bad credit! marketing budget- You should have credited a budget and financial projections n your business plan. Don’t forget to include a marketing budget! While you don’t want to share with just anyone. You do want to talk your business over with someone you respect. They may see something in your plan that can be improved on or something that should be left out. If you have a website, use a survey app like survey monkey and test out certain aspects of your plan. Again, be selective in who you ask for their opinions. Some people are clueless and will not support your business idea because they lack faith in themselves. You want to find someone who is a business owner. Hopefully someone in a market you hope to provide services too. Also, make sure you have priced your product correctly! 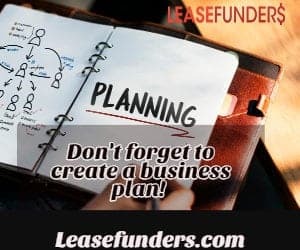 Know that you have your business plan done. 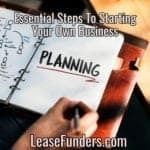 It’s time to get your business licenses and the business entity formed. Do you want to be a sole prop? 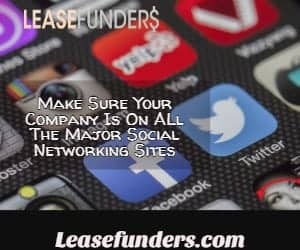 Or will you form a LLC , S or C corp? 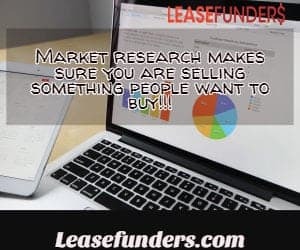 If you haven’t done your research on business entities, you should! Or talk to your accountant who can guide you. Now that you have your business structure and licenses, its time to open your business bank account. If you incorporated you will need to have filed for an EIN. This account is also where you will deposit any money you are investing into the business and any money you get from investors. It’s almost time to open your doors, but do you have the financing needed to keep them open? Again your business plan will come in handy! You have created a budget and financial projections, Make sure you have planned out how much you need for the first year in business. You don’t want to open your doors and hope that someone will step in to help you in a few months. Don’t get me wrong. There are ways to finance a startup, we finance lots of them. But approval is based on your PERSONAL credit since your business is new and doesn’t have any credit. You want to have a healthy “liquid” safety cushion. 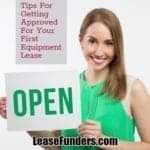 I always suggest to startups to use a startup equipment lease to finance their equipment. It only requires first and last payment, not 30% down like many loans. 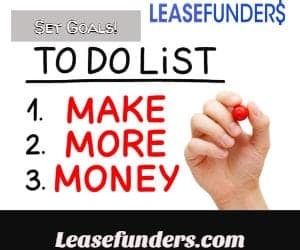 Now that you have your plan and financing. Time to open your doors! Are you going to be homebased? Or do you need an office? Your business plan should have covered this in detail. It’s exciting to open an office or location. But do you really need one? You really want to put most of your money and budget into marketing your business. That’s where you will see the best use of your startup funds. 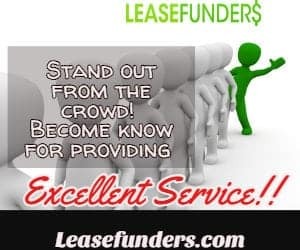 These days there are lots of services you can use to make your business look professional, and give all the services you need without the overhead of an office. Get a dedicated phone number. Services like RingCentral and Freedom Voice can give you a phone number that forwards to your cell phone or into a switchboard. If you run a business where your clients are nationwide or all over the world. Use services like zoom.us to have live conference calls. If you need an office to meet with clients, have you looked at shared office space? Or co-working locations? Virtual offices are great for people who want to work from home but need a business address. Most come with conference hours, so you can hold meetings there or invite a client in to sign docs. Many virtual offices come with receptionist service. So they will answer your phones and forward the calls to you. Very professional on a budget! Don’t just put it away once you have opened your doors. Review it every few months and make changes. Keep an eye on your budget and marketing effectiveness! When we started, we, unfortunately, blew thru our marketing budget in 3 months. But those were the early days of the internet and we were lucky enough to get picked up by search engines! Even the best-laid plans can go astray. Be prepared! Be vigilant. Be realistic. If a service isn’t paying off the way you thought it would don’t be afraid to talk to the provider to see if there is anything they can do. Ask yourself if you are being realistic. I’m part owner in a virtual assistant service and we turn down a lot of people who are unrealistic in their goals or budget! For instance. Any service provider that says they can guarantee you top placements in the search engines in 30 days is probably lying. Organic SEO takes time and lots of financial resources these days. It’s more realistic to budget Facebook ads and PPC to bring clients to your new business. Training your employees is time consuming and expensive. You want to make sure that you hire the right people. Take your time. Make out a list of duties you want that person to perform and keep it with you when you are doing the interview. Your business plan should also include employees and their roles. As your business is growing, certain positions may become obsolete. Or you may find a gap that requires an additional person. 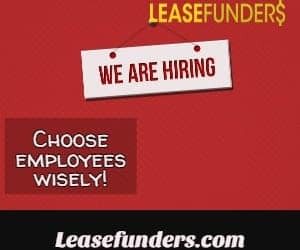 Do you need an employee or would hiring a freelancer be a better option? Remember employees require insurance, as a startup, you may be able to save some money by using contracted workers. Not only will you not have to provide insurance or an office space to work from. But you can choose from a pool of EXPERIENCED workers! Always check references! Especially if you are hiring a virtual employee! You will save yourself a lot of headache and money when you do this! You need to keep up with things happening in your industry, and so do your employees. You can call meetings as often as you see fit. We tend to have weekly meetings to go over client status and any new loan programs we may have. Frequency depends on you and your business. The reason behind the meetings is you want to make sure everyone is on the same page. If you are running a special, all your salespeople and back office people should know about it. I prefer to call live meetings or a company wide webinar. If I leave it up to the employees to just read a memo, there is no telling if they actually did it! Even established businesses need a constant flow of new leads. 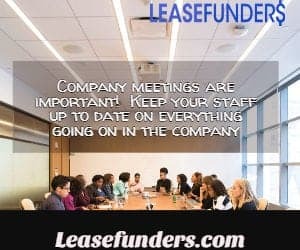 Join local business organizations. There are even virtual networking events. You don’t even have to leave home! Remember networking is a two-way street. Don’t just constantly ask for referrals. But give some to people in your groups! 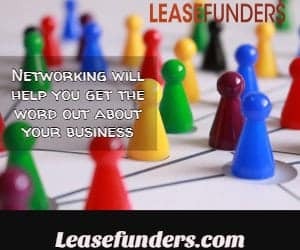 In fact, focus on getting to know your networking groups. And become known for constantly referring from your group. You will soon find that you are getting more referrals than you are actually making! Networking groups really love people who support the group. And they will show you their love by referring you to everyone they meet that can use your service! The last piece of advice I have for you is to be social. The friendlier you are and the more fun you are able to have when interacting with not just prospects, but your employees too. Social media marketing is becoming one of the best ways for a startup to get out and tell the world they are there! And there are so many different outlets! Be creative! Make sure you have a Facebook,Twitter, Linkedin and Google+ page. If you are selling products, Instagram and Pinterest are also great venues to get the word out! Don’t forget video! Some businesses survive solely by recieving leads via video! So make sure you have a Youtube channel for your business! Now that your doors are open and you have people hopefully ordering your product or service. Make sure you respond immediately and fulfill all your orders quickly. Make it a point to over deliver! People will remember this and come back! Always ask them for a testimonial or review! When you send them a thank you email, include a link to your Yelp.com page! Set weekly goals for yourself. They don’t have to be monetary. It could just be a list of things that must be done daily to help your business grow. As you meet your goals, you will feel a sense of accomplishment and you will be able to patiently wait for all your hard work to pay off! Don’t expect to build your multimillion dollar business overnight. It will take some time. You need to keep the faith and not give up right before your big breakthrough! Download the slide for FREE on SlideShare! Well, someone said freelancers won’t take the job seriously because they are just after the pay and may not be bothered whether the job is done well because you can’t really fire them or make them lose their job! How true is that? Well depends on where you hire them from. If you use sites like upwork.com you should just hire the ones with good reviews. I wouldn’t hire someone with no reviews. If you are not experienced with working with freelancers you want to stick w/ large sites where you can get feedback and see how they have worked with others. If you are experienced there are sites where you can deal directly with the freelancer and hirer them directly to be on your staff. The problem with these sites is you don’t have the benefit of reading other peoples feedback. You also have to have a way to pay the freelancer and software to monitor what they do. We use Timedoctor.com to monitor our outsourced agents.